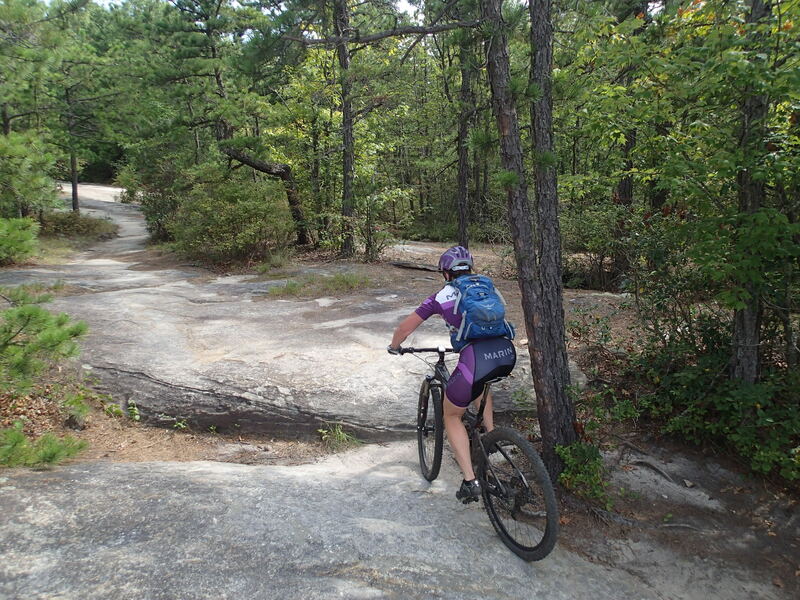 The logistics, stresses, and challenges of moving 2,500 miles from Washington to South Carolina wouldn’t prevent me from getting mandatory trail time on my bike. Although it complicated everything, we devised a way to turn the relocation process into a cross-country mountain biking road trip. 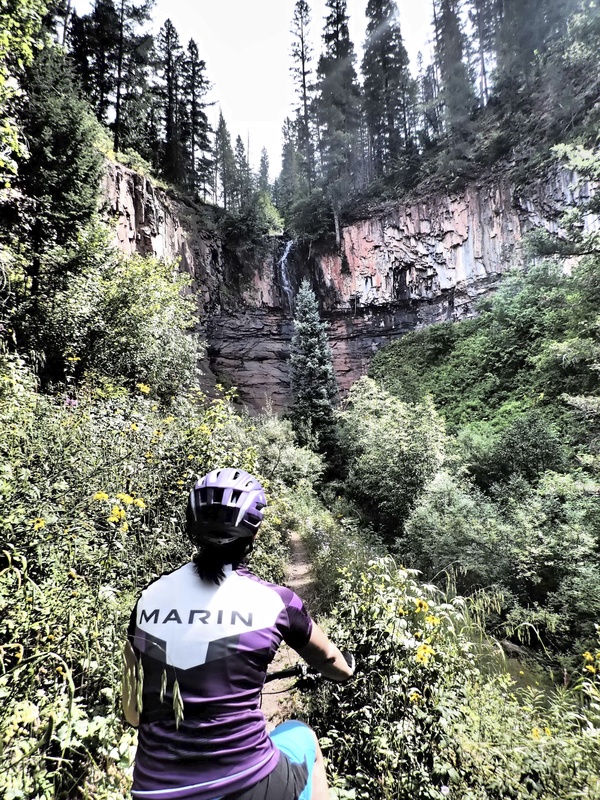 We spent most of our time in Durango, but with a little help from the internet, we also rode trails in some of the most unlikely and unassuming of places along Interstate 40. 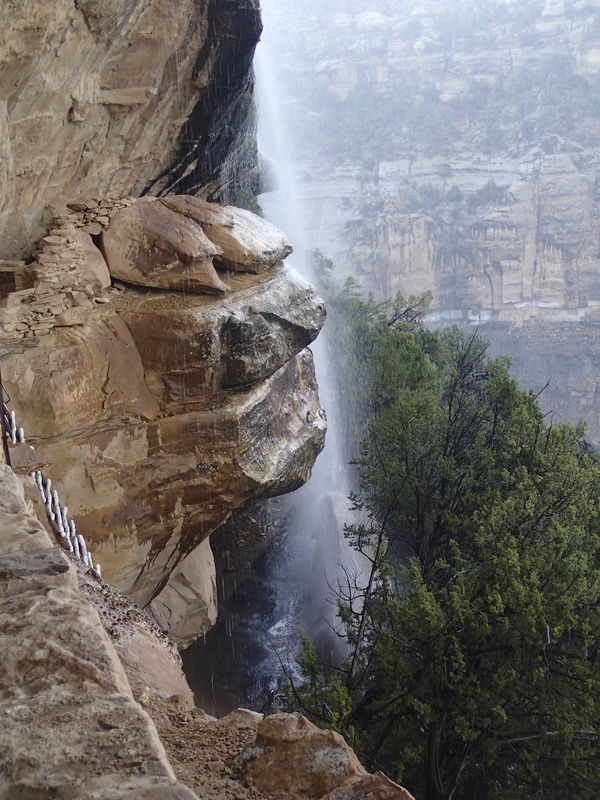 If you are ever journeying across I40, be sure to check these spots out. 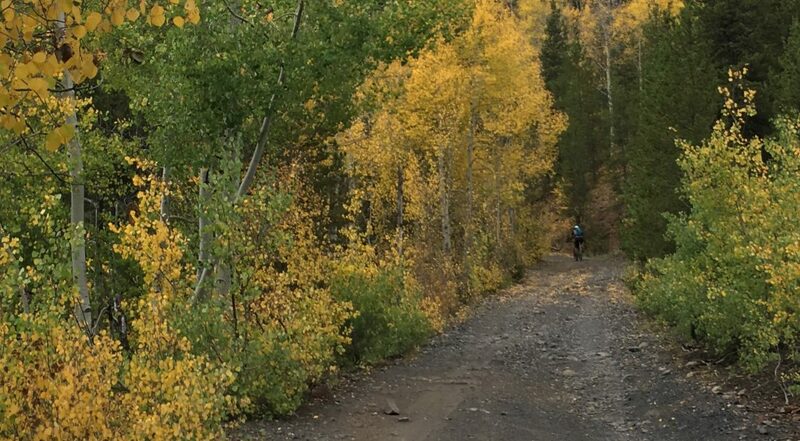 Except for Durango, none of these are “destinations.” But they are worthwhile places to go for a spin to stretch the legs, maintain your sanity while traveling, and experience unique, local terrain. 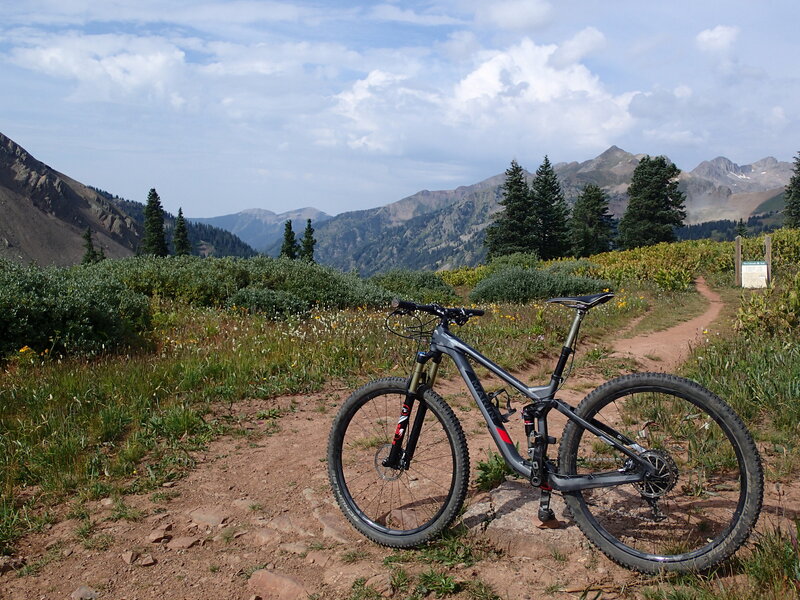 The 120mm Marin Rift Zone proved the perfect machine for the trip. 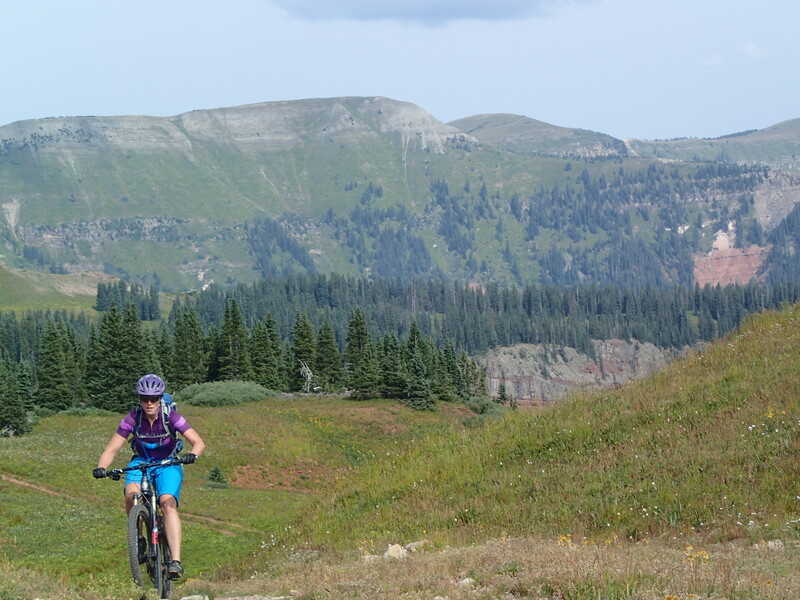 In 4 days of riding in Durango, we ticked off classics including Horse Gulch, Twin Buttes, Log Chutes, a Hermosa-Dutch Creek-Pinkerton Flagstaff-Jones loop, Dry Fork to the Colorado Trail, and then the cherry on top…the top of Kennebec pass at 11,700ft all the way down to the Homeslice pizza & beer joint in town. The views from the top of Kennebec Pass were breathtaking. 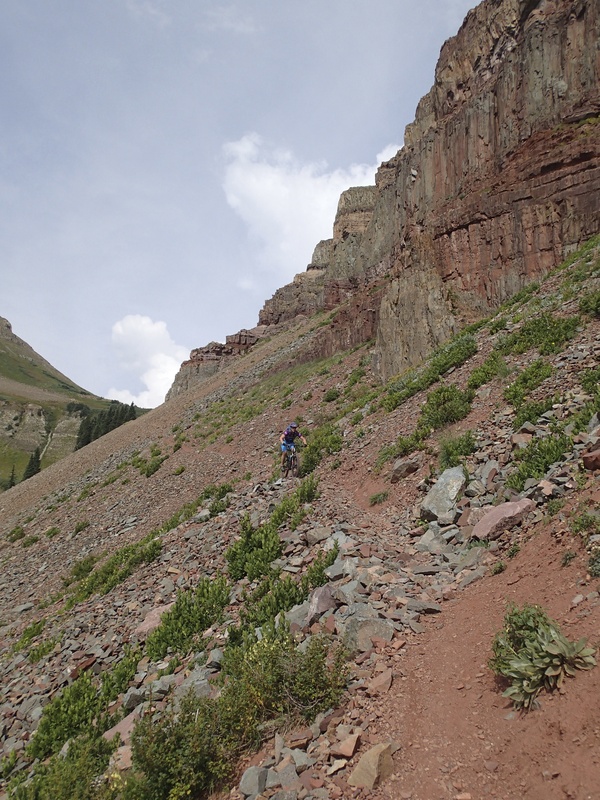 The descent begins by crossing a huge scree field with grave consequences if you fall to the right. I fought to contain my excitement and adrenaline lest it cause me to ride carelessly. 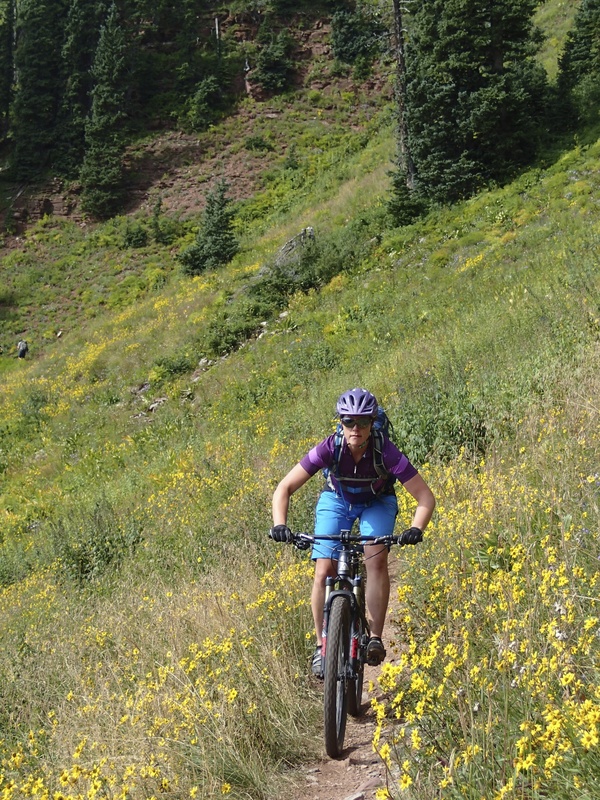 The tension of the scree field melts away once you hit the smooth dirt that meanders through fields of wildflowers. 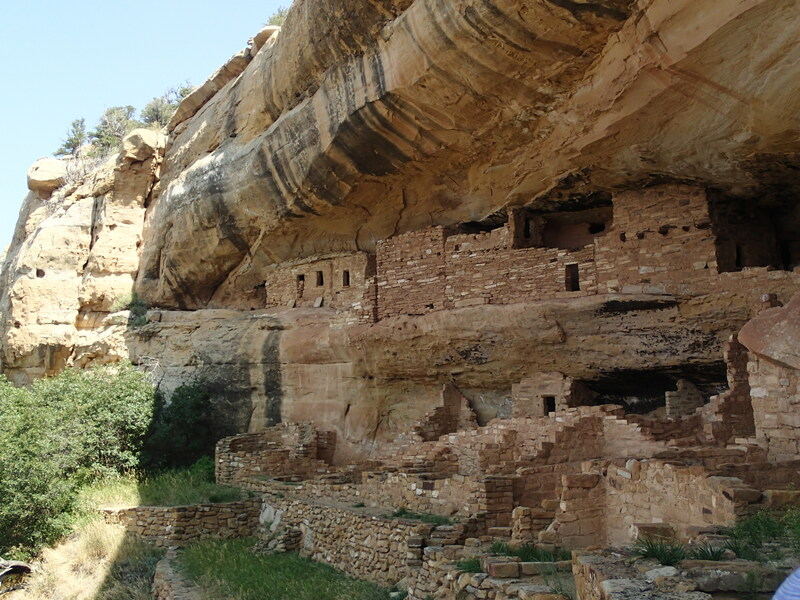 When you need a rest day, cruise 1 1/2 hours west to visit the cliff dwellings of Mesa Verde National Park. From Durango, we dropped south to Interstate 40. 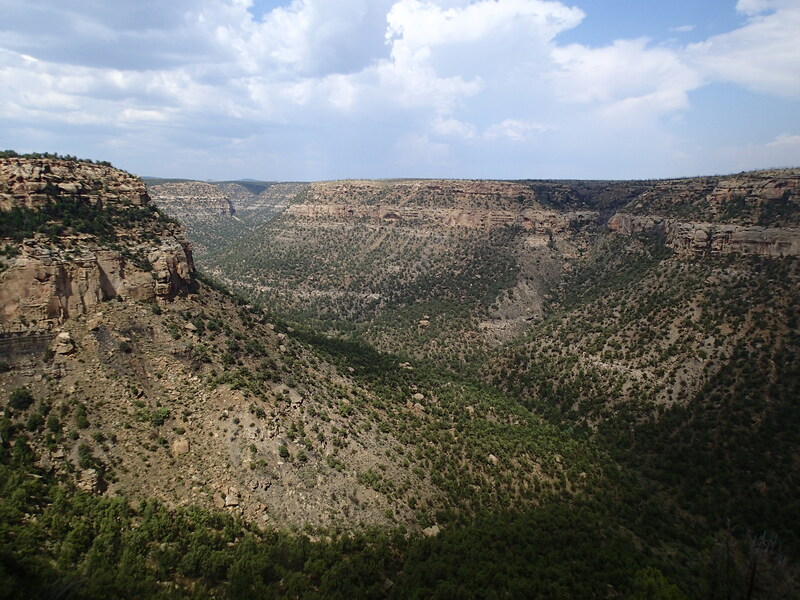 Otero Canyon is about 15 miles east of Albuquerque, NM along I40. Less than 300 miles east of Albuquerque is the extreme flat land around Amarillo, TX. 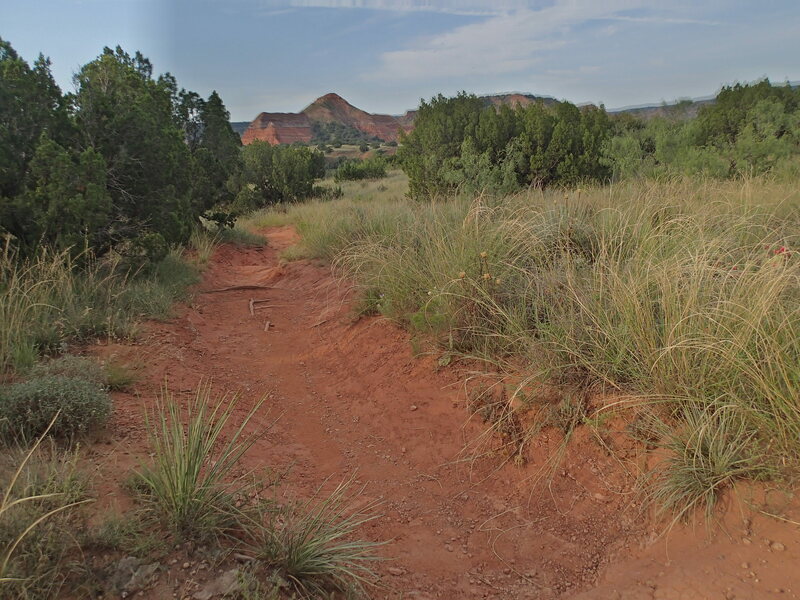 EXCEPT, there’s actually a huge hole in the ground there, known as Palo Duro Canyon State Park, “The Grand Canyon of Texas.” I’ve never seen the GC, so I can’t say if that’s accurate. Regardless, this place is definitely worth the stop. You’ll keep saying to yourself, “is this for real?? ?” because it seems so out of place. Next stop was 600 miles east to Little Rock, AR. 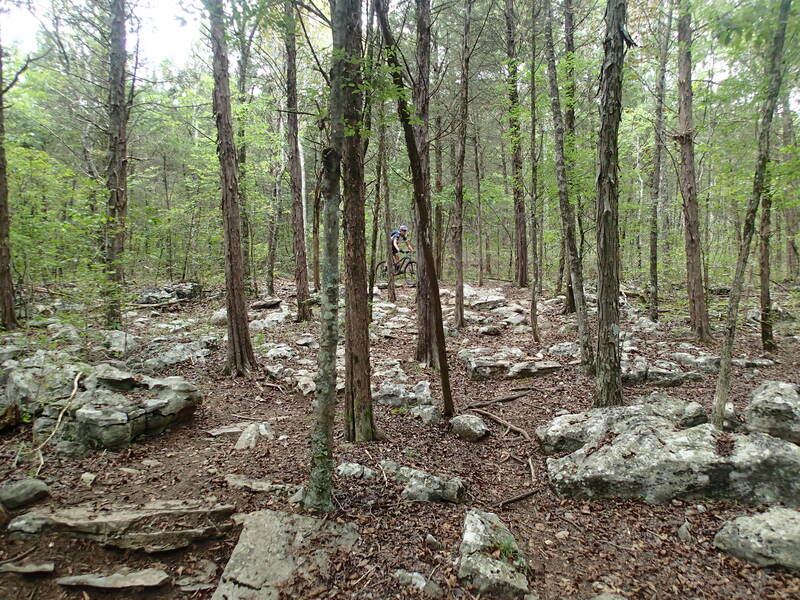 I would love to spend more time exploring the Ozarks, lush green mountains you pass along the way. I think they have a ton to offer to mountain bikers, but we just didn’t have the time to go off course. 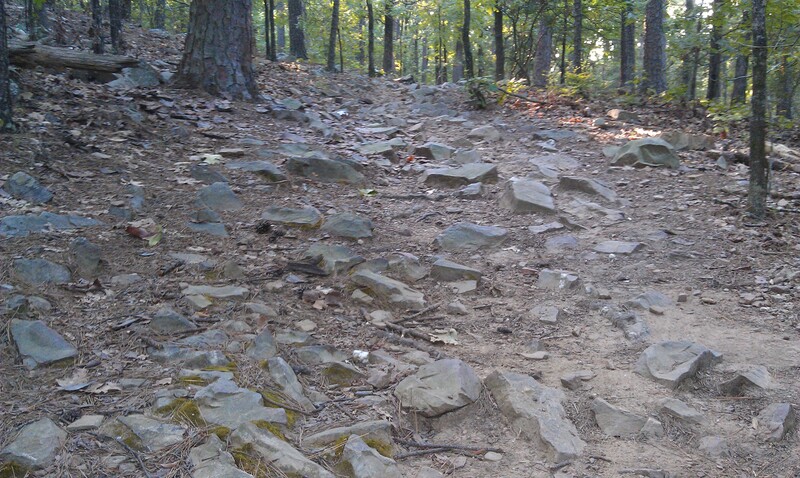 Burns Park is just seconds off of I40 and provided a perfect one hour workout. Unexpected rock gardens abound! Next stop along I40 was Nashville, TN. I was most excited to dig into some shrimp n’ grits, but to make room for some southern food gluttony, we sought out Hamilton Creek, just 8 miles south of the Interstate. 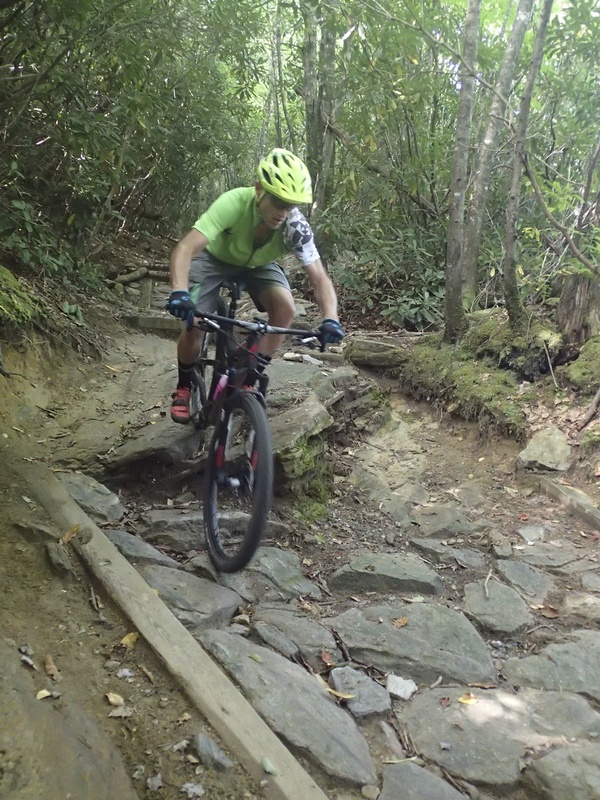 Asheville lies on I40, but all the coveted trails are mostly out of Brevard, NC, about 30 miles south. 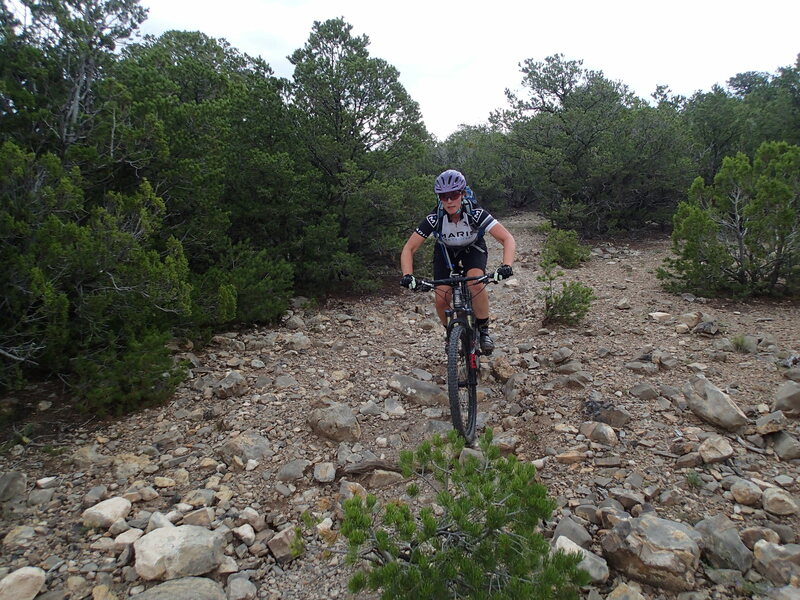 We were tickled silly by the exposed granite trails and technical descents in Dupont. Seeking trails in unlikely and unexpected locations affords experiences on unique terrain, escape from the confines of a car, and a welcome and revitalizing sense of solitude just a stone’s throw away from major metropolises. You can dig up details on all of these places on the wonderful world of the web. The next time you travel and you don’t know whether or not to bring your bike…just do it. It’ll force you to discover places you never thought could exist.